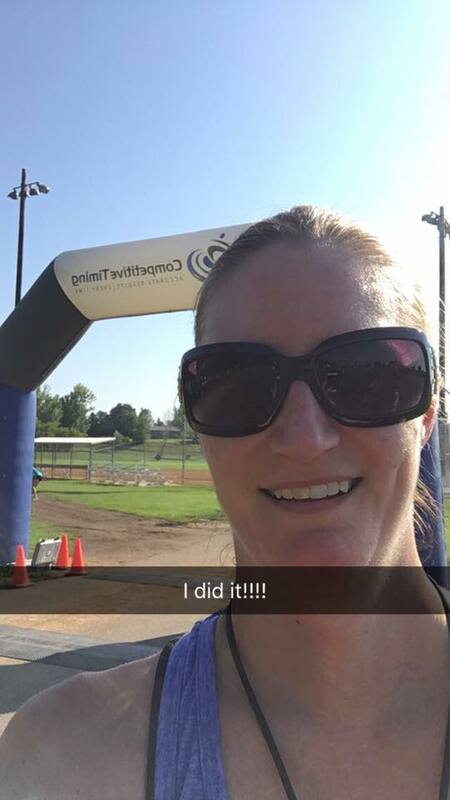 When I wrote my recap for the Dale F Kilwein Memorial Run Half Relay, I was hoping I could convince Brianna to share her story...and she did :) Thanks, Brianna!!! I started running a few years ago as a way to escape it all, even if just for a little bit. I had done a few 5ks and decided I wanted to do a half marathon. So I started training for it, but soon life happened. Between my crazy work schedule and being a mom, I wasn't able to run as much as I wanted to /needed to for my training schedule. I decided I could do the Dale F. Kilwein Memorial Run half marathon relay. I just needed a teammate... When I met Jodi and Amanda a few years ago at a YLEO event, I felt so blessed to have them enter my life. They have been so encouraging and motivating for me!! They have done accountability groups for working out, which I desperately need to keep me moving! When I feel like I can't go on they are there encouraging me, whether it's a post on Facebook, or an encouraging message. God truly blessed me when He brought them into my life!! When it came to finding a teammate for the relay I knew it would be amazing to have Jodi run it with me, so I reached out and asked her. She told me she would be honored to run it with me! I had tears of joy knowing I was going to have this amazing lady as my teammate. The day before the race it finally set in- I was going to run a half marathon relay!! I was able to meet up with Jodi n Amanda at packet pickup, it was so good to see them again!! We decided to go check out the trail a bit, the nerves started to set in while we were checking it out, but also I was excited! Race day finally came!! We had to be there super early, and man was it foggy! The fog finally lifted while I was on the trail, but I hardly noticed to be honest. I was on cloud nine on the trail! The race was amazing! Out of 9 relay teams we finished 9th, but we finished-that was the main goal, was to finish. We finish and we had fun, that was all I cared about, was crossing that finish line. I am so grateful God brought Jodi and Amanda into my life, and I am grateful that God brought Crystal into my life as well! Last year I did the 5k, this year the half marathon relay, next year I will run the half marathon for the DFK memorial run! It is a fun race for a great cause! !